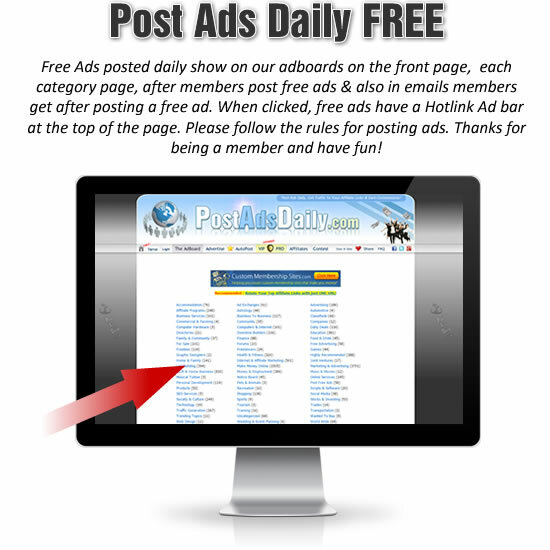 You are currently a free member of PostAdsDaily.com which is great, and comes with some free advertising and a chance to earn 20% commissions. But, if you upgrade right now ... you can sit back and enjoy EVEN GREATER benefits. 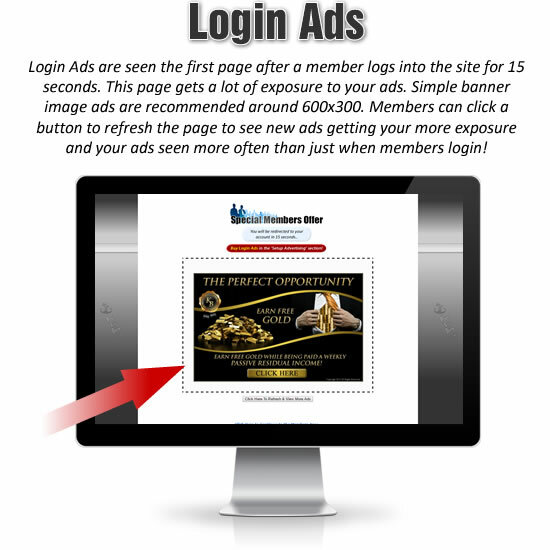 When you upgrade now, we'll also give you several bonus account upgrades worth $599.. PLUS If any member you refer makes ANY purchases, you get 75% of the commissions! THIS IS HUGE and new with ELITE+ account! 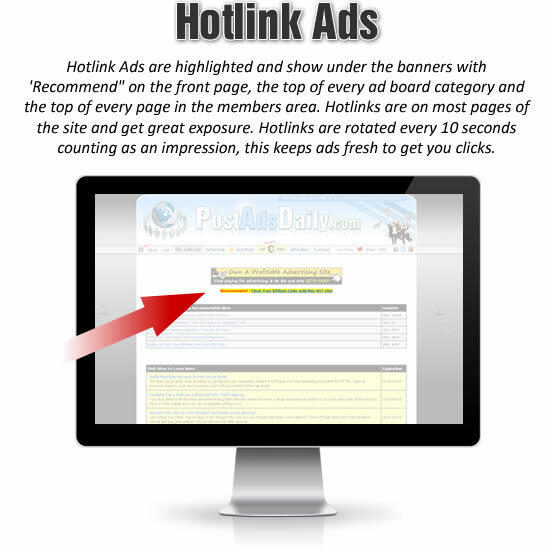 You'll get to post 100 free ads daily, not 7.. and your ads last EIGHT times as long! 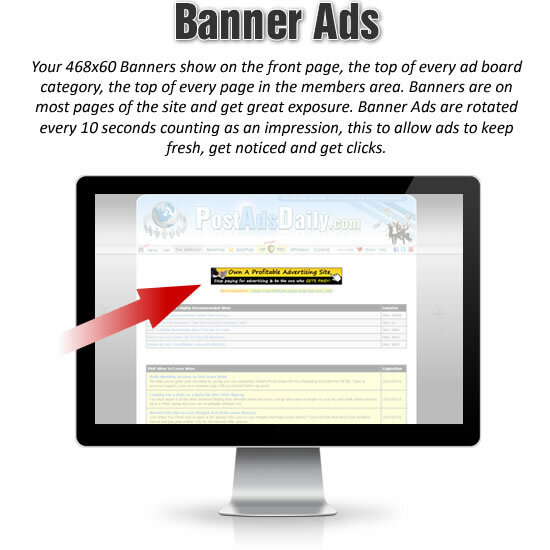 You get at least 10 times the results that you will as a free member. Easily. 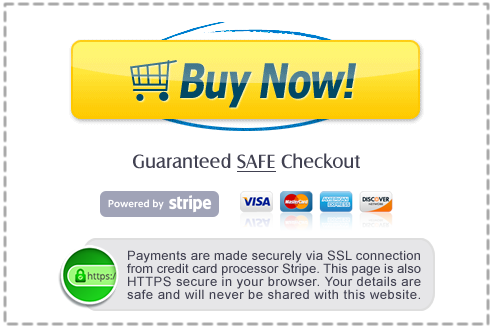 You can cancel anytime you like to be downgraded to your previous membership level. 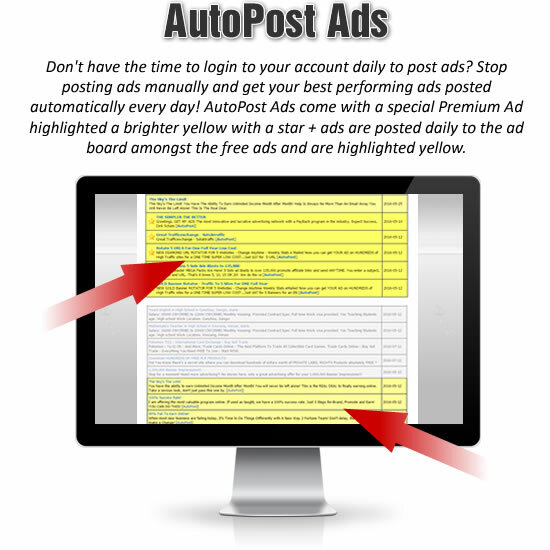 The ads you paid for will remain in your account. 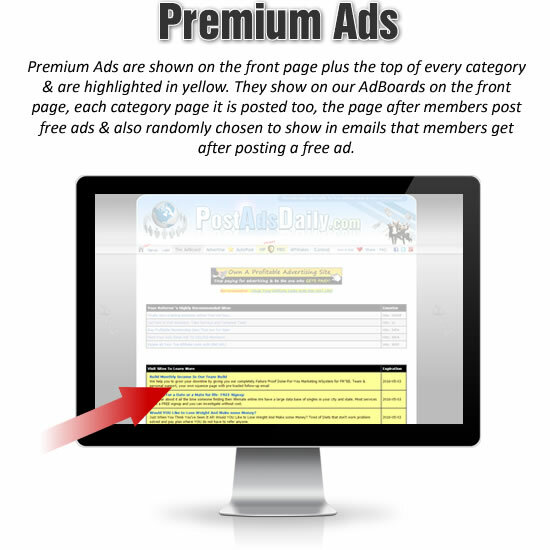 like 75% commissions & posting 100 free ads daily.